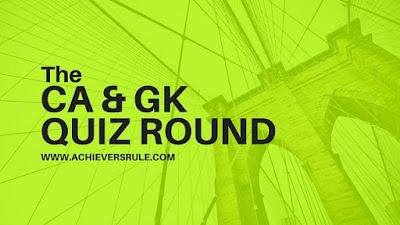 Daily Current Affairs Quiz - 10th April 2018 has a set of 15 questions which are based on the Latest Current Affairs Updates and One Liner GK and Static Note Down Points. These are important for the upcoming examinations of IBPS PO, IBPS CLERK, SSC CGL, SSC CHSL and Rail. We have provided proper explanation and answer against each of the questions given below. Q1. Which bank is going to invest in hydropower project of Nepal? Q2. Which city tops in 4G connectivity among 20 of India’s largest cities? According to the report of OpenSignal, Patna tops in 4G connectivity among 20 of India’s largest cities..
Q3. "TB Harega-Desh Jeetega" is being followed and started in which state? Q4. Whcih state is going to provide free chemotherapy ? Q9. who won Bahrain Grand Prix? Q13. Singapore signed a Memorandum of Understanding with which country?